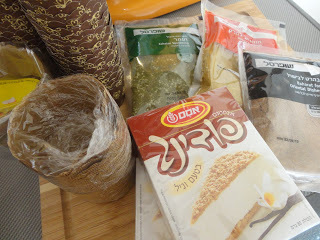 My friend Fran, who lives in Israel, has been kind enough to send me a box of foodie goodies, which I’m really excited about – spices, which are either unobtainable, or exorbitantly priced, over here – za’atar, baharat and hawaij. Vanilla pudding mix, which is used in a few of Carine Goren’s recipes, is not really available here in the UK, unless I order online, or buy the American ‘Jello’ brand in the little box, from places with fancy food halls such as Selfridges or House of Fraser. Fran also included some cute little disposable paper baking cases, some for cupcakes and some larger ones, suitable for making the chocolate pear puddings in Carine’s book. As soon as I can get my hot little hands on some tiny pears, I’ll be making these. 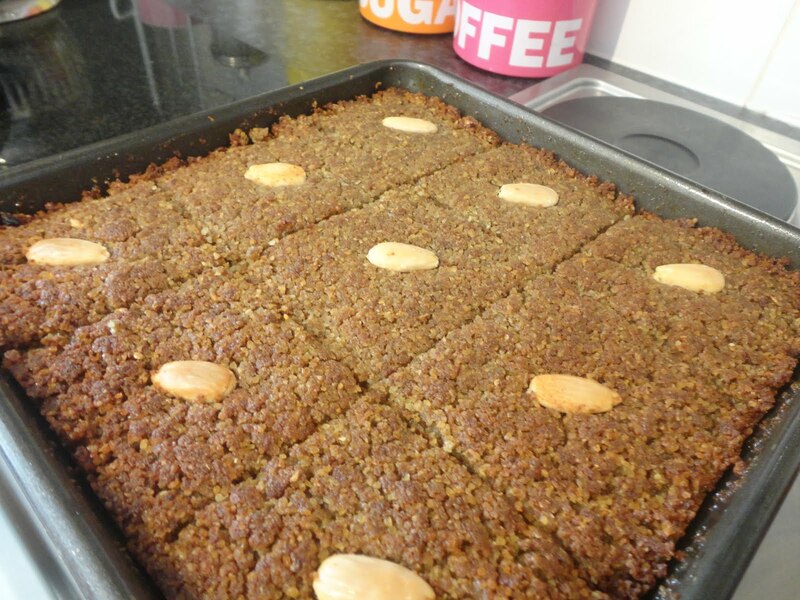 I had some kind of exuberant vision of making kibbe, a suitably Middle-Eastern dish, to kind of celebrate the arrival of my box of goodies, and as a virtual way of saying thank you to Fran for being so kind, but things didn’t work out quite as I’d planned……. The kibbe are in the bin. They were overwhelmingly greasy, crumbly and smelt heavily of lamb, which I hasten to add, I usually like the smell of. My husband took one bite, pulled a face, which looked like he’d just stepped on, or tasted something very unpleasant, put his fork and plate down and refused to eat any more. 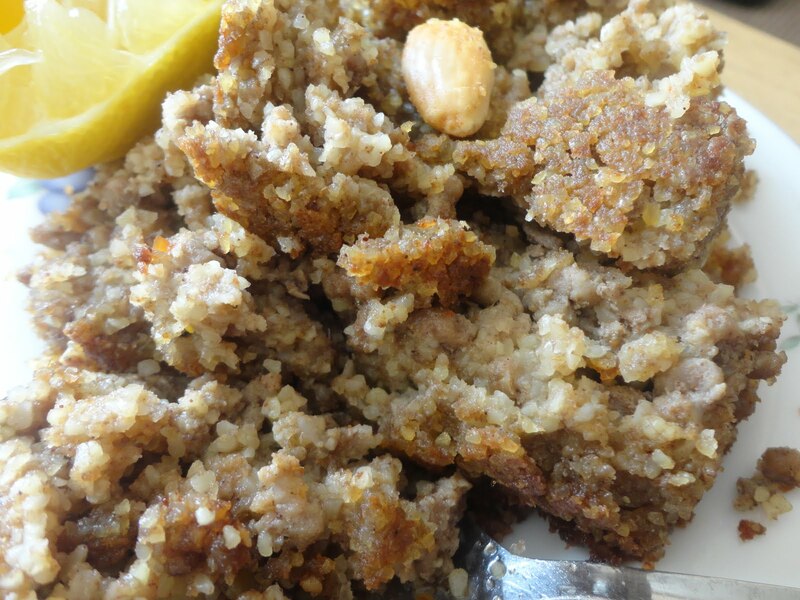 Kibbe are supposed to be a dish of layered bulgar wheat mixed with lamb mince and pounded (or processed) to a paste, with added spices, layered with a filling of, again, lamb mince, fried with chopped onions, pine nuts and spices, covered with lots of butter, fried in lots of butter and baked until golden brown. They sound delicious…I don’t really know where I went wrong…. I should have realised when I was adding butter and more butter, with fatty lamb mince. Well, as they say, you live and learn. I don’t think I’ll be in a hurry to make these again. From Nadia Sawalha’s book ‘Stuffed vine leaves saved my life’. Marks out of ten? 1. Would I make them again? No, unless I found a very different recipe on personal recommendation! Would I do anything differently? Can’t really answer my own question, as I’m not making them again. Have a look at this old 2007 post – Coco, the burlesque wonder cake. I have a confession to make. 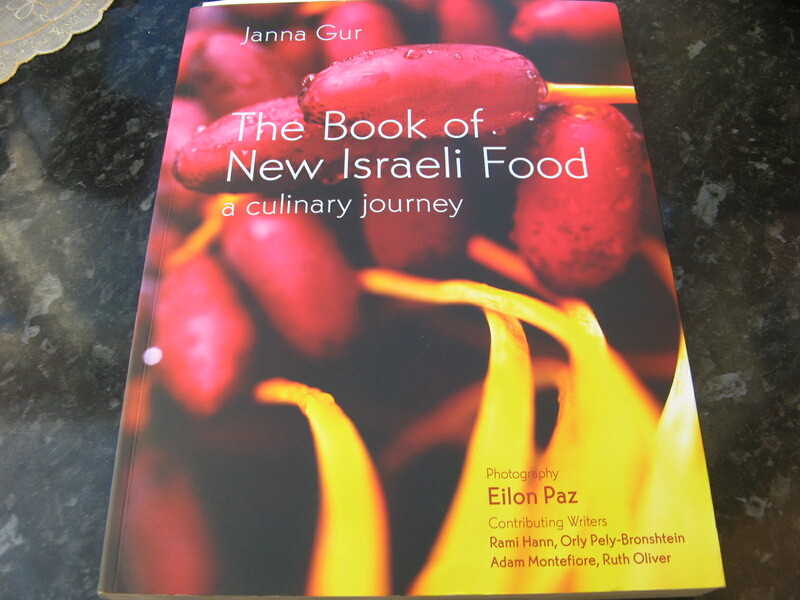 I seriously coveted this book after seeing Ilana blogging about it. It sounded like just the kind of book I would love. Disaster though, it wasn’t even listed on Amazon, how could that be? My angel arrived in the shape of Francesca who kindly sent me the book, and I must say, I LOVE it. My ancestral island Cyprus, whilst being a Greek Island, is so Eastern, that it’s almost, but not quite, Middle-Eastern. To me, Cypriot food has more in common with Israeli food than it has in common with Greek mainland food, which in turn seems to have more in common with Eastern European countries. I love Cypriot cooking, the liberal use of cinnamon in sweet and savoury dishes, mastic, tomatoes, onions, lemons…. I often laugh with my Mom, because everything we cook seems to start with ‘fry a chopped onion until darkly golden before adding a tin of chopped tomatoes’. So when I did finally lay my hands on this wonderful book thanks to Francesca, I seemed to instantly bond with it, it was just the book I’d been searching years for. And I mean years. Always buying Greek cook books and putting them down. THIS was the book I was meant to own. 1. 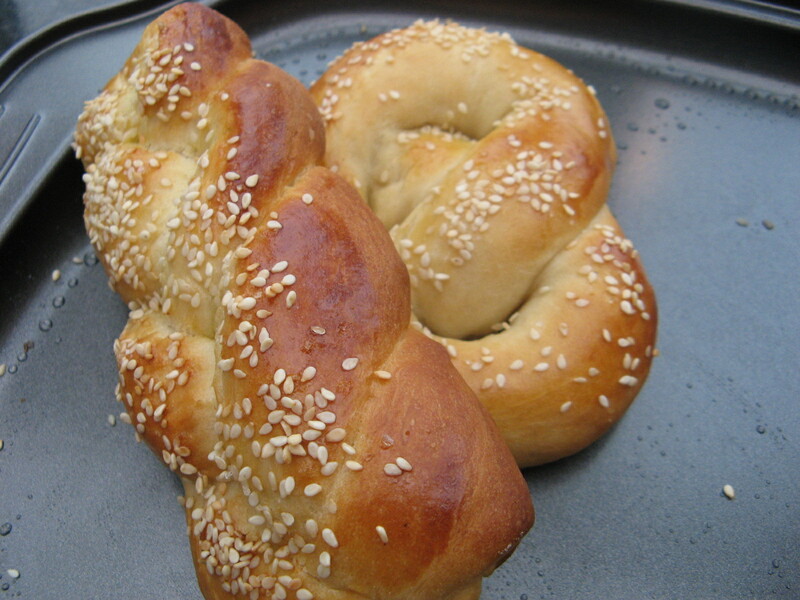 Jewish pretzels – I made these last night, and boy were they GOOD. It seems to be the addition of full-fat milk powder which makes a huge difference. Oh, I also doubled the sugar in the recipe from 3 tablespoons to 6 – and they were JUST right. 2. Chicken and vegetable ptitim casserole – A delicious one-pot dish. 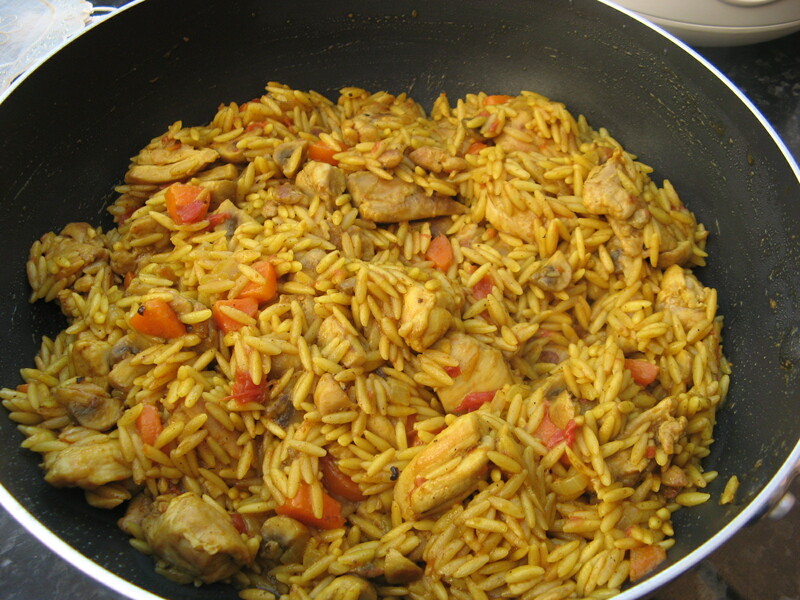 When my store of ptitim runs out, I’m going to be making this with orzo, I don’t think the taste will be discernably different. The whole family enjoyed this dish, which is an achievement in itself. 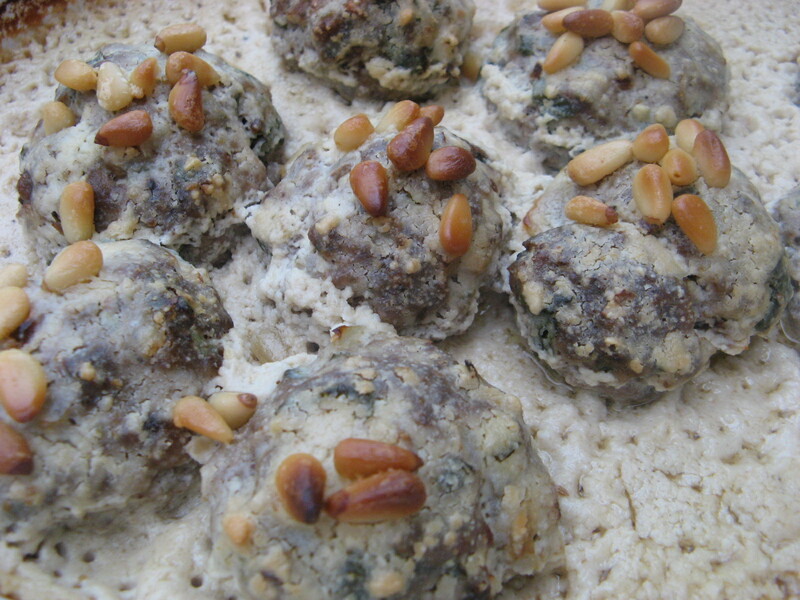 3. lamb patties with tahini sauce. We have grown up eating tahini ‘salad/sauce’ (by that I mean tahini mixed with water, lemon juice, plenty of garlic, salt and topped with flat leaf parsley) So I was instantly drawn to this recipe. It was so easy to make, the only thing I’ve never tried before is actually baking the tahini sauce after it’s been made. A big thank you to Francesca for this wonderful book.